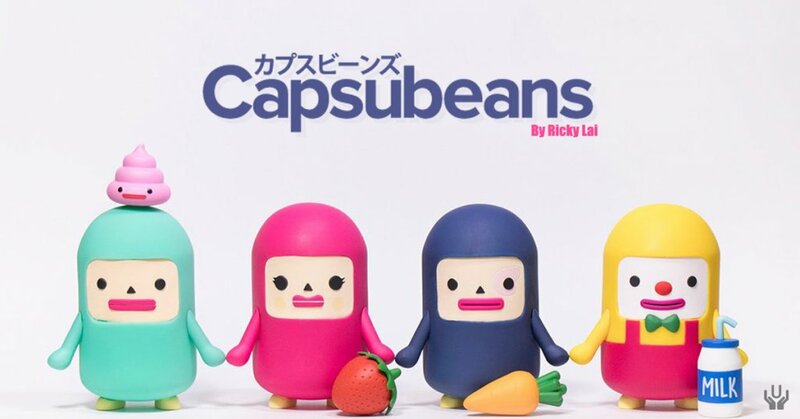 Ricky Lai presents to you “CAPSUBEANS” introducing Jack, Lily, Max and Charlie aka CAPSUBEANS! These minimalistic style CAPSUBEANS and colourful presence of each Jack, Lily, Max and Charlie have their own accessory. Asia’s answer to Teletubbies? Anyway these four CAPSUBEANS stands at 4″ *COUGH Gary’s size. From illustrations to soft vinyl figure all powered by the DTA winners, Unbox Industries. CAPSUBEANS will make their online debut this weekend and check out the special poop accessory! Ha. PRICE: $100 USD per set. Fancy them individually hit up https://shop.capsubeans.com/ Right NOW.